Error: Error validating access token: Session has expired on Wednesday, 17-Apr-19 05:06:59 PDT. The current time is Friday, 26-Apr-19 03:52:05 PDT. 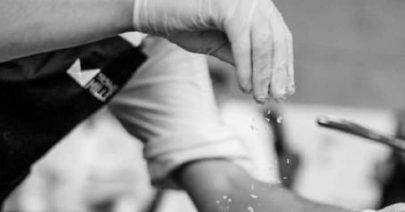 Whyalla chef Ben Rogers has made a name for himself internationally, claiming the ‘International Best Salty Dish’ at a cooking competition in France. Mr Rogers traveled to the Champagne region during March to compete for the ‘Trophee Mille’, named after Philippe Mille, Chef de Cuisine at the prestigious Les Crayeres in Reims.